Mark your calendars, the 3rd Annual “SPOOKY FLEA MARKET” returns! 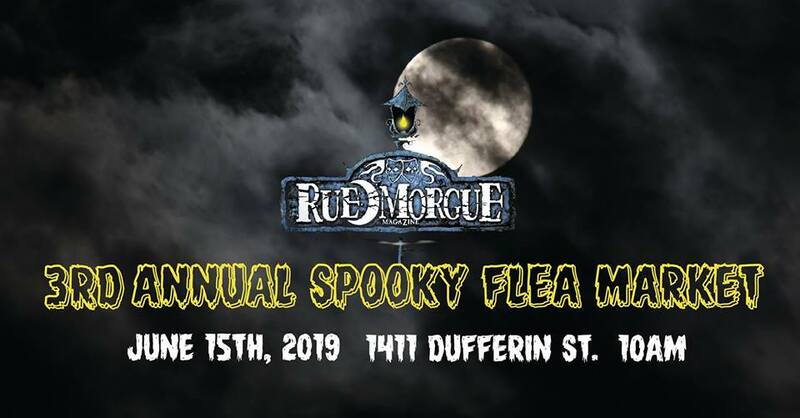 You read that right, the 3rd Annual SPOOKY FLEA MARKET returns for one day on on Saturday, June 15, 2019 at 10 AM – 5 PM at the Rue Morgue Manor (1411 Dufferin Street, Toronto.) By the power of three times three… admission is free! Come for the vendors and music, stay for the prizes! No debit/ATM – CASH ONLY! TO APPLY – email spookyfleamarket@gmail.com for a vendor application form. Application forms are due April 20th – no exceptions! Join the official event page!